Americans have generally treated beer style as a branding opportunity more than a description. When craft brewers got going in the 80s, designating a style was an impressionistic enterprise. The problem was that most American brewers didn't know the history and tradition of the styles, and they knew their customers didn't, either. A "bitter" was meant to evoke some romantic notion of England as much as it was to refer to a style. I recall encountering pilsners made with pale malt, ale yeast, and American hops. It's how we ended up with "amber," "red," and smoky "Scottish" ales. Over time, we became more educated. Brewers went off to brewing schools, people traveled, we read Jackson. Styles became more congruent. Seeing "pilsner" on a label meant it was probably, at the very least, a lager. In the 90s and early aughts, breweries generally did a good job of acknowledging national brewing traditions and started making pretty decent facsimiles. Lately, though, we've gone through yet another shift. Having learned about styles as they are actually brewed elsewhere, Americans did what we always do--we riffed. Our lagers are often unfiltered and hoppy. Our sours are brett-y and very sour. We started adding the letters IPA to any beer we wanted to flag as hoppy. Now when you see a style, it may well be impressionistic, but not through ignorance but design. All of which leaves me wondering what to make of beers that call-out very specific beer styles--and this is made all the more confounding when you have a style that has changed and evolved even in its country of origin. Case in point. 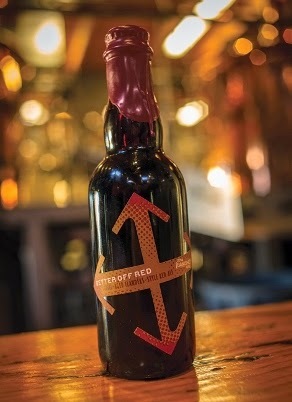 Over the weekend, I drank a bottle of Crux's Better Off Red, a "barrel-aged Flanders-style red ale." What exactly was Larry Sidor thinking when he used those terms? What should I be thinking when I read them? Let's start with the beer, first, which some people have called "stunning" (and that's just in the wind-up). It's a pretty beer that falls comfortably in that uncomfortable range of red-brown that has confounded Belgian taxonomists; bright, sparkling, topped with an eggshell head. A waft of sweetness curled up, only to be bludgeoned by a sledgehammer of brett. The palate was a bit fractured--I think this is a beer than needs at least six months in the bottle to cohere. There's a ton of cherry fruitiness and caramel sweetness on the one hand balanced with the beginnings of brett dryness and a bit of acetic marbling. I suppose one could work his way into a description of "balsamic," but I had a hard time. My first comment to Sally was: it's not a Flander's red. But as I drank it and considered the little I knew about the production--barrel aging, mainly (the brewery didn't get back to me)--I started to consider the history of Flanders and reassessed. It's not a Rodenbach. (Or Verhaeghe.) But perhaps the brewery was referring to the older tradition, which allows for almost any possible interpretation. If we go back to the time of Lacambre (1840s), we find crazy dark ales made in Flanders by boiling worts insane amounts of time--up to 20 hours. Pale malts became caramelized and the beer turned brown, the mark, to 19th century Flanderians (Flanderers? ), of quality. Lacambre, a brewer from Leuven, thought they were nuts and said “far from being very pleasant indeed, for it is bitter, harsh and astringent.” Beers were made differently in each town, and variations abounded, but dark and strong were the characteristics that distinguished the beer. Over the next 17 decades, many tragedies were visited on the region: world wars, artificial cooling, lagers. The funky old beers dwindled and there are now no more than a handful, all made differently (Rodenbach, Liefmans via Moortgat, Verhaeghe, Bockor, Van Honsebrouck, Struise, and De Dolle). Of these, everyone agrees the living standard is Rodenbach, where the beer is made in manner irreproducible anywhere else. The brewery uses what it calls "mixed fermentation," beginning with a fairly boring wort that is pitched with a mixture of microorganisms that include yeast and bacteria. They do this in steel. Alcoholic fermentation happens in the first week, followed by lactic fermentation in the following four. When I visited the brewery in 2011, Rudi Ghequire told me, "Then we send a nearly bright, young beer to the wood. The big difference between spontaneous fermentation and mixed fermentation is with spontaneous you send wort to wood and we send young beer. 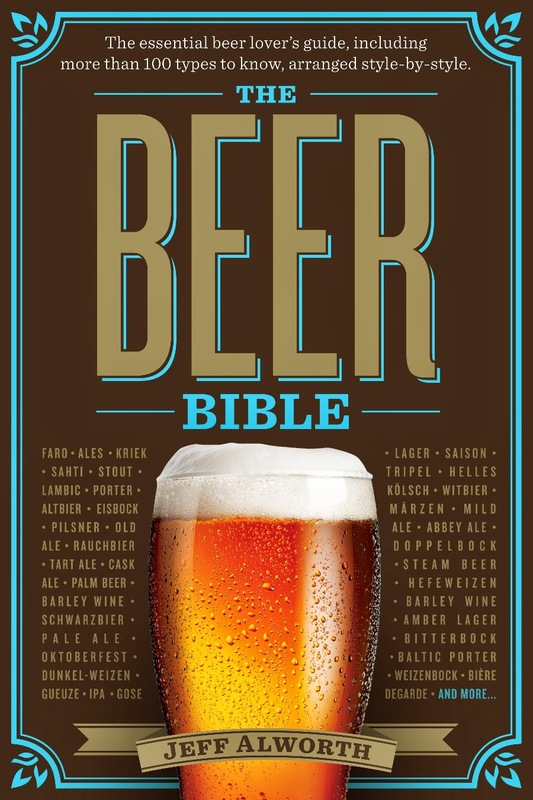 Beer has an alcoholic protection, so it is less risky." And it's in that wood where the magic happens. Rodenbach has these titanic wooden vats (foeders), some of which date back to Lacambre's time, and the beer then ages for two years there. It develops a classic balsamic flavor through the slow interaction of brettanomyces and oxygen, a combination of dryness and ester production. The beers don't taste bretty, though--they're much more sharply lactic. In fact, when we were tasting some beer from the foeders and Rudi picked up a hint of brett, he said, "I'll have to blend that out." But here's the thing: even Rodenbach hasn't always made beer this way. Until the 1970s, they used a coolship to spontaneously ferment the wort. That blend of yeast and bacteria is a descendent of spontaneous fermentation. They used to share their yeasts with Verhaeghe, De Dolle, Liefmans, and Strubbe and others. Rodenbach is blended back with young beer in different proportions for regular Rodenbach and Grand Cru--and indeed, these proportions have changed to suit changing consumer tastes. What Is This Label Telling Me? I returned to my Crux. It bore the mark of blending, with older, bretty flavors and cherubic sweet ones. The label tells me it was aged in wood. It was more brett and less lactic than Rodenbach and Verhaeghe's Duchesse de Bourgogne, but perhaps these weren't the referents. But then, if it wasn't the reference, what was the name on the label supposed to be telling me? 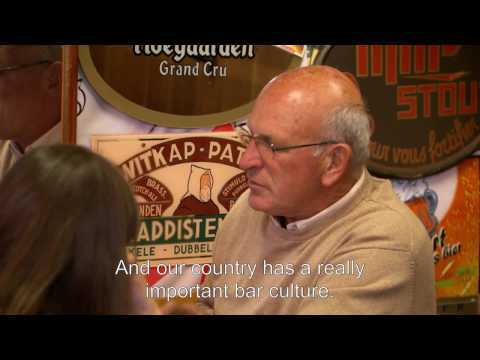 Is Crux trying to recall for its consumers the long tradition in Flanders and the town-by-town variability in what could plausibly be called a revival of an older, no longer extant variant? Or is it just a not-very-close version of Rodenbach or the Duchesse? If the latter, why refer to Flanders at all--the beer can easily stand on its own, and the fact that it's only a second-cousin to the more famous Belgian beers is unnecessarily misleading. I know I'm over-thinking things. I know I should just get with the program, ignore the label and enjoy the beer. Fair enough. But then, why did Crux write that description on the label in the first place? Maybe it was just bait to get some dude to spend WAY Too much time writing about it on the internet. Mission accomplished. I think "Flems" is the word you're reaching for there. And it's adorable how you'd regard hoppy and/or unfiltered lager as a variation on how they make them in lagerland. Get that man a zwickel! Glad The Beer Nut said it. Tickle that zwickel! That's funny. You're "over-thinking" a beer. That has never happened. Crux obviously won this round. What do they care about style barriers and names? If the beer is good, you must disregard the label on the bottle. Or does the Beer Sherpa have problems with that? 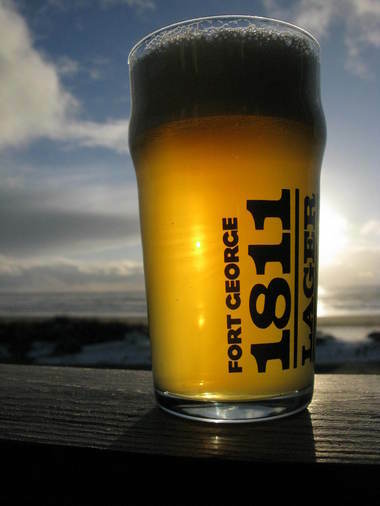 Beer Nut and Lew, you misunderstand: most Oregon lagers are cloudy. I think we're outliers. I'd love to try the Crux... just can't swallow the price tag when Rodenbach is two doors down and far cheaper in a magnum. I have a bottle of the beer you described Jeff, so thanks for the heads up. I will sit on it longer. Looking forward to seeing their actual take on a Flanders Red. I really don't think it's unreasonable to expect that a beer will be what it's label implies unless it announces somehow that it's a riff. It is one of my biggest peavs to order a beer based of the name or description and get something entirely different. Actually had a big debate once about Lils Pils from Seven Brides as it was cloudy and had some strong yeast esther flavors that came through. If your ordered it thinking of pilsner malt an noble hops with a clean finish you were sorely dissapointed even though it was a good beer. I don't know if we can even compare American styles to European styles anymore. Almost everything has been adjusted or redefined in the new world. See, this is a case where I'd prefer the brewer would nix the style branding and just pick a few adjectives that would best describe the flavor and texture of the beer.